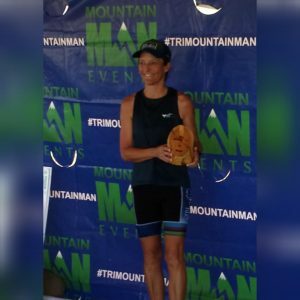 Congratulations to everyone who raced at Mountain Man this past weekend! Kathy Stanley (pictured) – 2:52 – 1st in AG! The Sunrise Series of 5K races recently concluded and Melissa Samuelson was rewarded for her consistency by taking 1st in her AG for the overall series! Congratulations, Melissa, and all of our athletes! This entry was posted in Results on August 24, 2018 by tekgrl_admin.